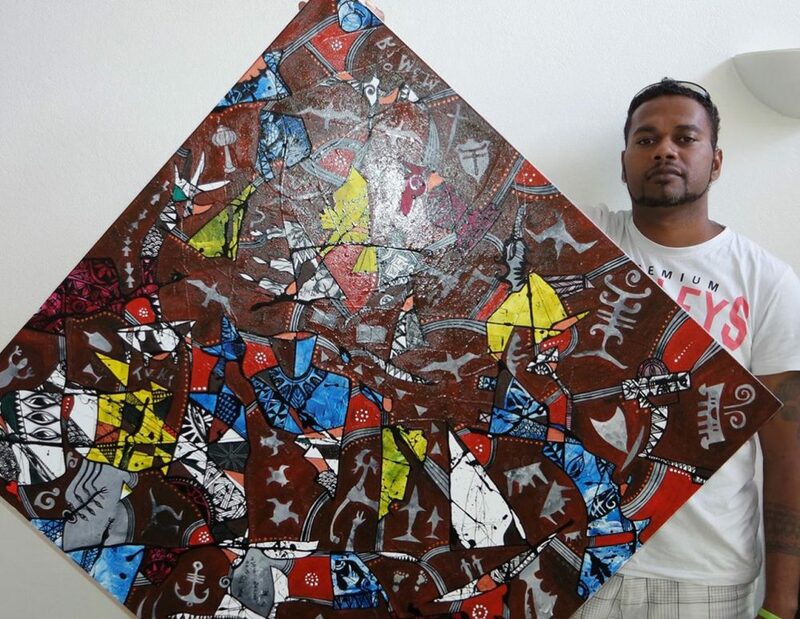 Born in Fiji and Mentored by an Academic Professor and a re-known painter, poet, and writer of the first and second wave of talented artists known to be the REDWAVE collective. A Contemporary Painter and writer by profession with decades of experience in the Arts locally and internationally and has become successfully celebrated for his wealth of achievements in Art Exhibitions in Fiji and the Pacific region. Buli has travelled and exhibited around the world including his a tour to Sydney to exhibit at the National Maritime Museum of Australia taking on a voyage across the Pacific for the cause of preservation and conservation of our Ocean in the Pacific.